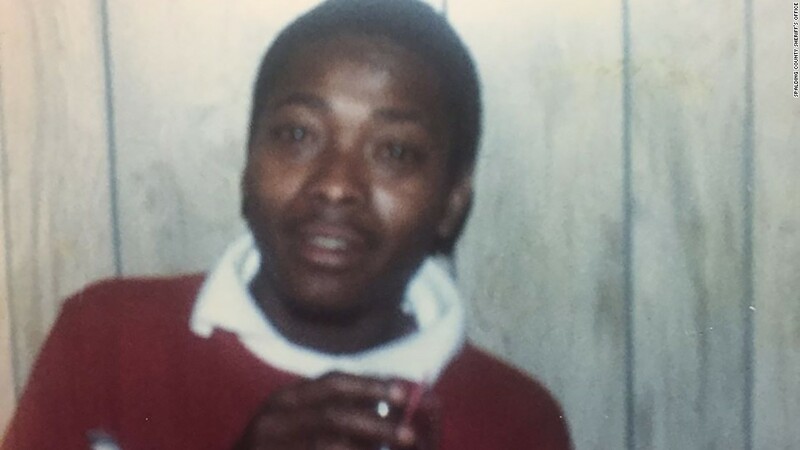 Griffin, Georgia (CNN) Tyrone Coggins had just learned his brother’s killers, after skirting comeuppance for 35 years, would almost certainly remain in prison for a long time. He told prosecutors to hold on because he had something for them. 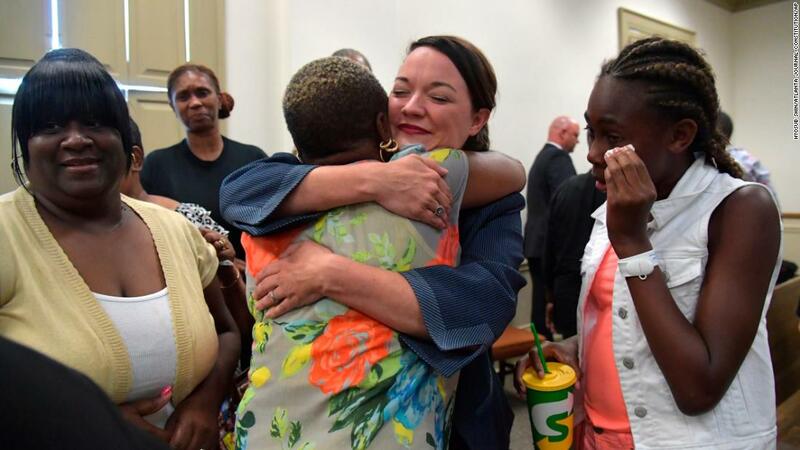 The moment was a culmination of the Coggins family’s long quest for justice. 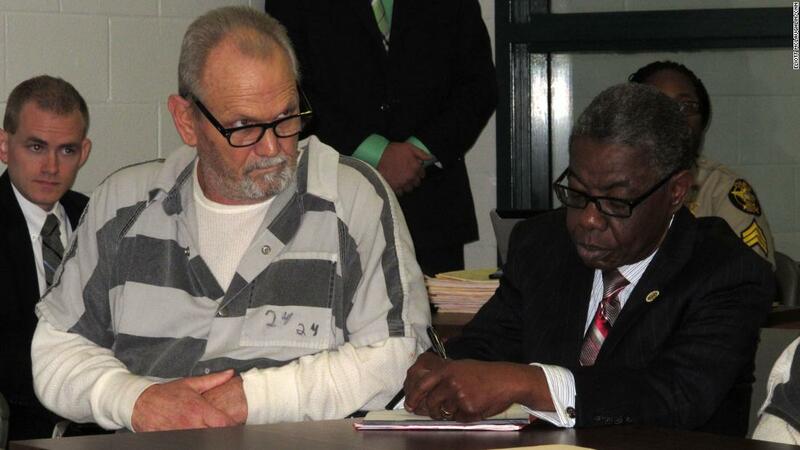 Six weeks earlier Coker and Broder had successfully prosecuted the first of Timothy Coggins’ killers, putting him behind bars for life plus 30 years. Now the second killer would be convicted as well. “Before we leave, I want to personally, personally thank you so much. This has been a dark cloud over my family for a long time,” Tyrone Coggins said. Coker and Tyrone Coggins shook hands. The handshake lingered as the men tamped down emotions. In Tyrone Coggins, Coker saw a brother who’d lived through decades of hell. In Coker, Tyrone Coggins saw the man who’d made it right. “You better thank her,” Coker told him, nodding to Broder. Tyrone Coggins and Broder embraced. 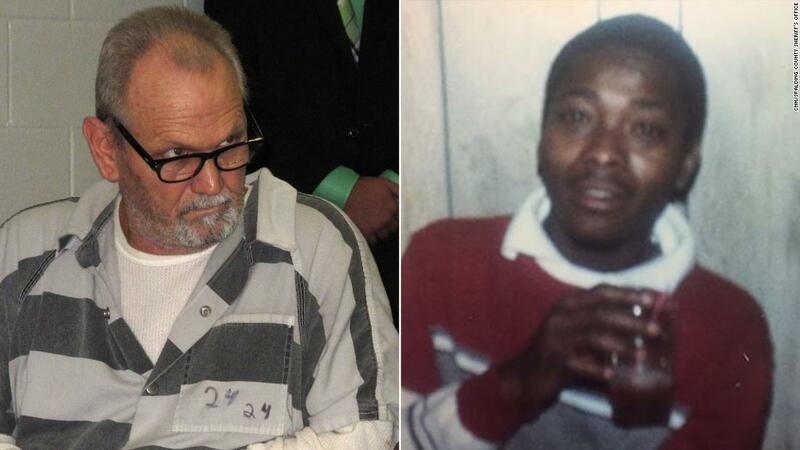 Though the prosecutors and the Coggins family have known each other since only late 2017, when Frankie Gebhardt and Bill Moore Sr. were charged with the cold case killing, they chatted and joked like old friends. Just minutes prior, Heather Coggins, Timothy’s niece, had made an unlikely confession: Gebhardt, who was convicted in June, reminded her of her grandfather. 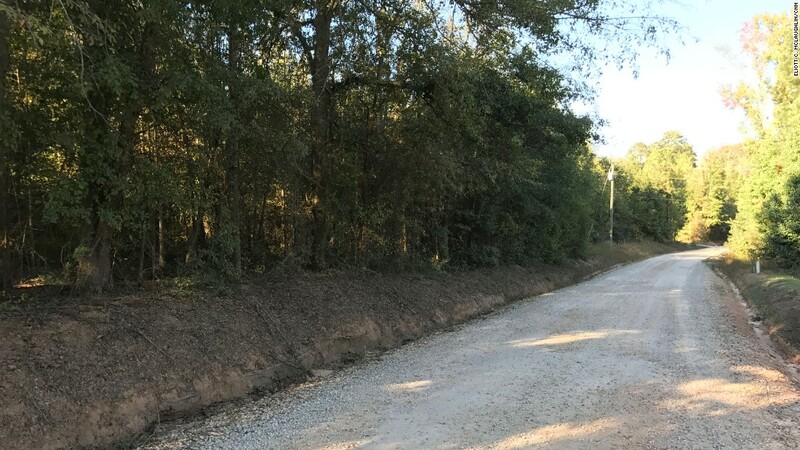 On August 8, the prosecutors summoned the Coggins family to the Spalding County Courthouse in Griffin, about 40 miles south of Atlanta. Upon their arrival, the eight family members were taken into the same courtroom where Coker and Broder had successfully prosecuted Gebhardt. The Cogginses took seats in the jury box from which the foreman had pronounced Gebhardt, 60, guilty of murder. Publicizing the plea deal could jeopardize it, so these conversations tend to happen behind closed doors. But Broder allowed a CNN reporter into the room on the condition he not report the plea until it was entered into court the following week. Broder’s hair was down. It had been up through the trial. Her mother jokes she means business when she puts her hair up. 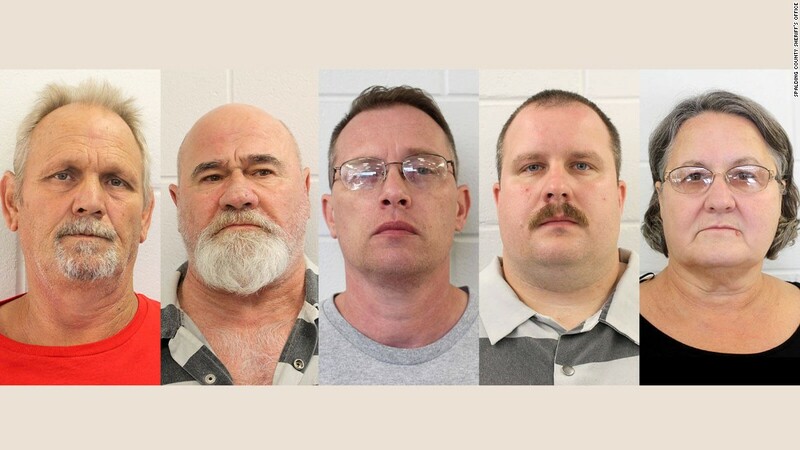 Coker was casually perched at the table from which he and Broder, his chief assistant, had called a white supremacist, a child molester and other jailhouse snitches to testify they had heard Gebhardt brag about killing “the n****r” who’d made the mistake of socializing with his “old lady” back in 1983. “The case against Bill Moore is a lot different than Franklin Gebhardt’s case, and Gebhardt’s case was not easy. Bill Moore’s will be even harder,” Coker said. Unlike in the Gebhardt case, there was no physical evidence from Moore’s property — no knife, no thick chain, no clothing. Nor did Coker have a raft of witnesses who say they heard Moore brag about stabbing and mutilating Timothy Coggins and then dragging him behind a truck. Complicating things further was the media attention on Gebhardt’s trial. Moore could now be granted a change of venue, which didn’t sit well with Coker, he told them. But he had what he felt was good news: Moore was ready to plead guilty to voluntary manslaughter and concealing a death. 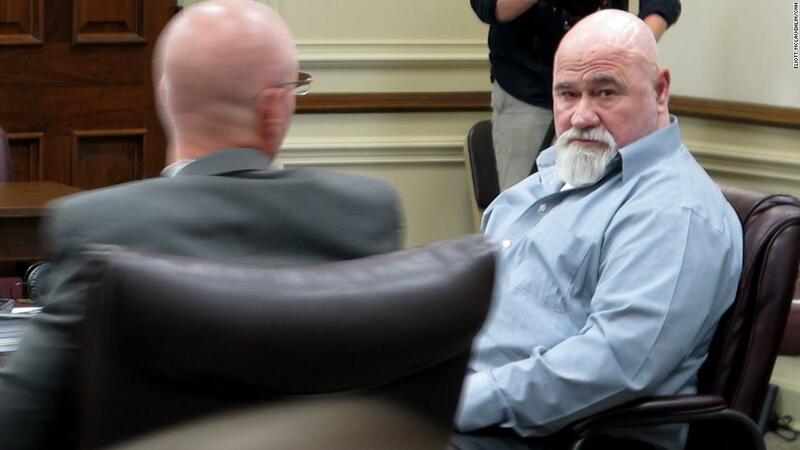 It was not a murder conviction, but it was a good deal, Coker said. The deal: Moore will serve 20 years in prison on the voluntary manslaughter charge and another 10 for concealing a death. The Coggins family took the news with a mix of relief and doubt. The night before, Timothy’s oldest sister, Peggy Richards, had worried the plea deal wouldn’t be sufficient retribution. “So, would he confess?” Richards’ daughter, Heather Coggins, who has acted as family spokeswoman since the arrests, wanted to know. “He’ll have to get up here in front of the court and plead guilty to the charges, but as far as outlining what he did, I wouldn’t expect that,” Coker said. Another family member asked: How long will the court appearance last? An hour at most, Broder replied. “Thirty years straight?” Heather Coggins asked. That’s to be determined by the parole board, Coker explained. A chorus of yeses rose from the jury box. “So when will we know if he accepts it?” Heather Coggins asked. “He already has,” Coker replied with a smile, accentuating his Southern drawl. There was a chorus of ohhhs from the jury box before Heather Coggins affirmed the family was on board. The first trial was painful for her — “I didn’t know what to expect; I definitely didn’t expect that” — and the family was ready to put a period — nay, exclamation point — on a saga that has haunted them for decades. “That’s part of being a Christian,” Coker said. “I think that says a lot about y’all,” Broder said. On the brick walkway outside the courthouse, Richards, with whom Timothy Coggins was living when he was killed, was no longer worried whether the plea deal represented justice. The family still misses Timothy Coggins. They miss his “big, joyful laugh” and his bright smile that showcased his “beautiful, pearly white teeth,” other family members said. They reminisce how the mama’s boy who could befriend anyone looked out for his sisters and how, according to one of his aunts, “he’d dance anywhere,” especially if Frankie Beverly was jamming. Moore’s plea also meant an end to the fear the family has experienced since Timothy Coggins was killed. Spalding County was not exactly a racially harmonious place in the 1980s. The Ku Klux Klan held rallies and parades there, family members testified in the Gebhardt trial. Shortly after Timothy Coggins was slain, the family received notes warning they could be next, Timothy’s sister, Telisa Coggins, testified. One of the notes arrived with a severed dog’s head, she told the court. 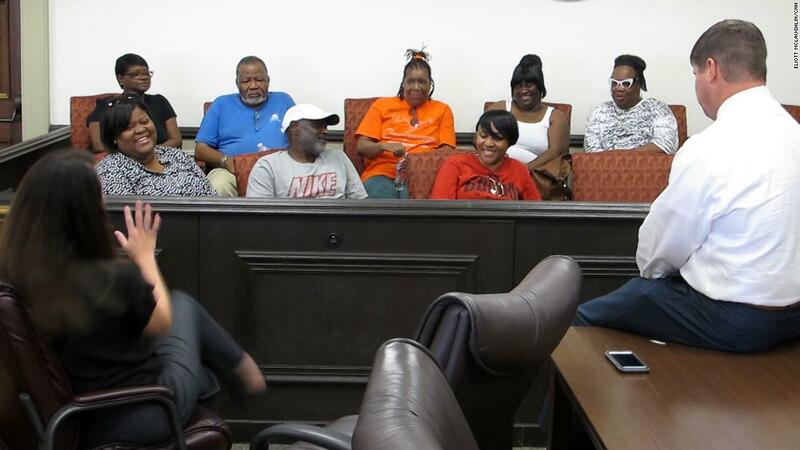 Court was bustling Thursday as the family filed into the room. 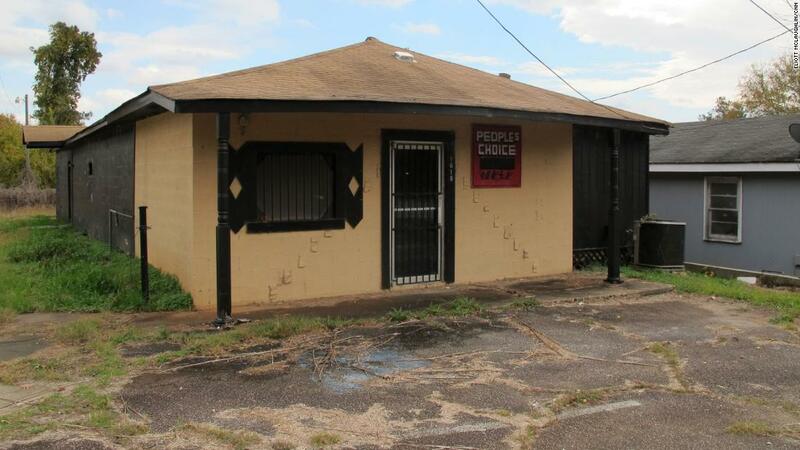 It was a normal court day, and Moore’s was but one proceeding on the docket. Broder’s hair was back up. Immediately, the plea hit a snag. Moore no longer wanted to serve 10 years in prison for concealing a death. He wanted probation instead. After a discussion, the family lent its support. A deputy rolled Moore and his wheelchair before Judge Fletcher Sams. At 59, he’s said to be in poor health. Wearing a long-sleeved T-shirt under his prison scrubs, Moore spoke only to say “yes, sir” or “no, sir” to Sams’ questions. Eyeglasses dangled from his shirt collar. Heather Coggins, who was 6 when her Uncle Tim was killed, approached the bench. She didn’t face the judge. She turned to Moore, standing over him as she addressed him directly. “When you took Tim away from our family, my grandparents suffered, and our family never recovered. My grandparents went to their death not knowing what exactly happened to Timothy that night,” she told Moore, pushing back tears. Three others are charged with obstruction of justice for their alleged actions after the case was reopened. They await trial. But on August 8, that was a matter for another day. As the family congregated outside the courthouse, sharing their thoughts with a documentary crew that has been working on a film about Timothy Coggins’ death, a passerby called out. “Are y’all the family?” the white woman with long gray hair asked.